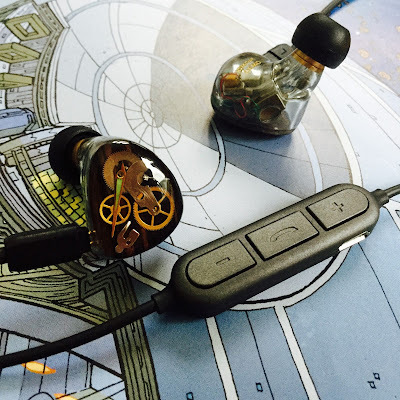 I am not experienced with bluetooth gear and am a reputed luddite with wooden ears who both embraces and shuns new technology indiscriminately. 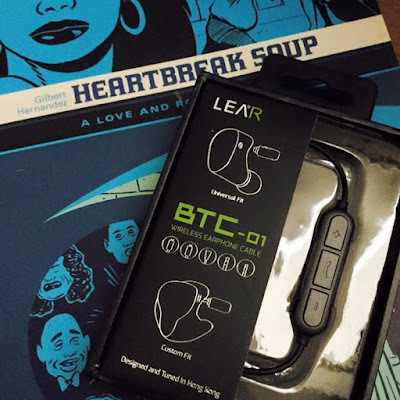 Color me surprised when I quite enjoyed and found the LEAR bluetooth BTC-01 quite a solution to a problem I did not know I had. 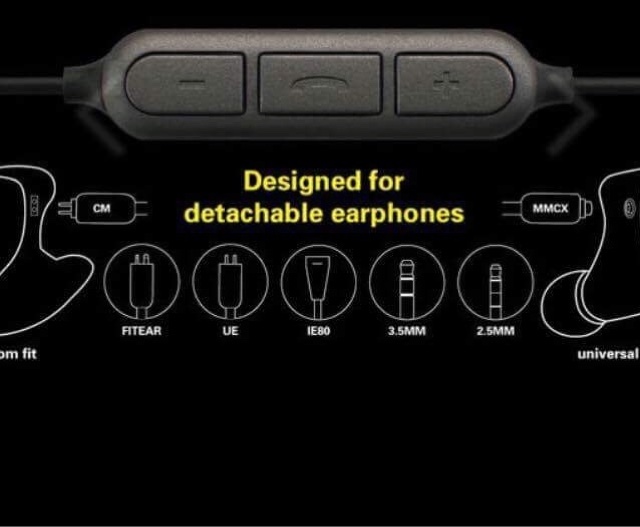 Of course this would mean not displaying my finely braided cables to all in sundry on my daily commute, but I can say the sound quality is very good, even great, perhaps excellent even. Simply but efficiently packed. 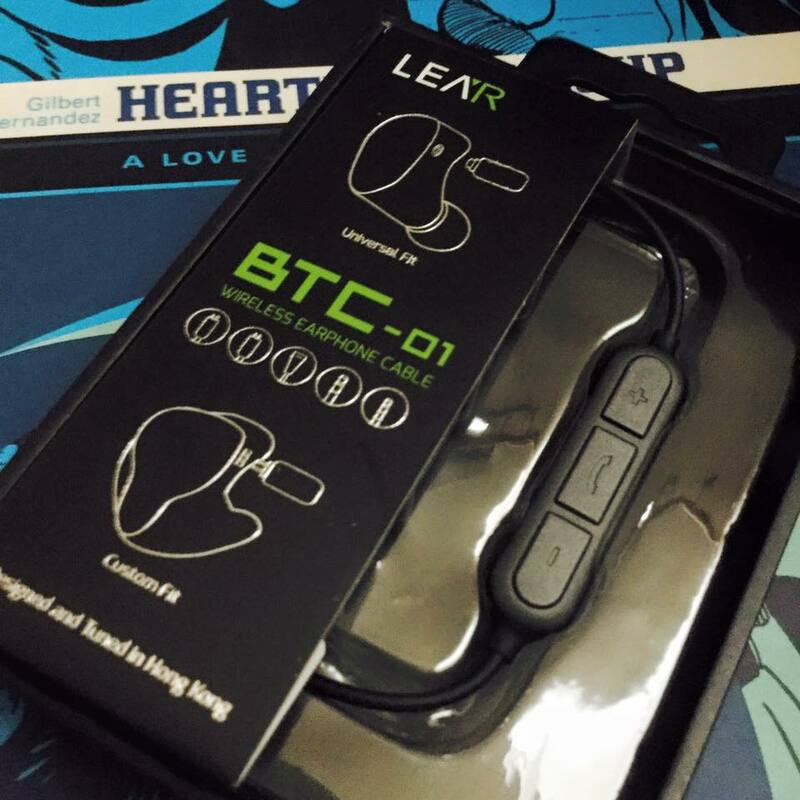 The LEAR BTC-01 comes in a small box. This being the two pin version. 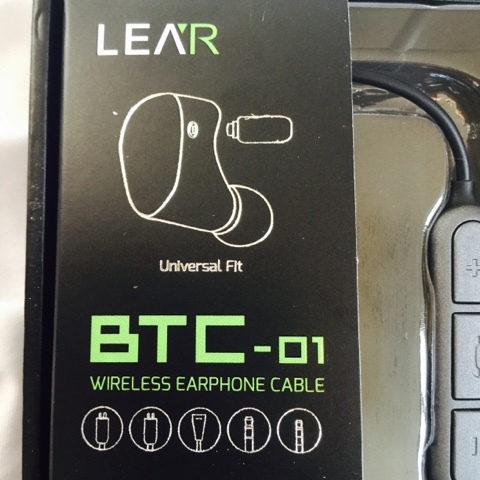 Charger cable, and some over the ear cable supporters to help hold the BTC-01 in place, If needed. Well this is an easy question. 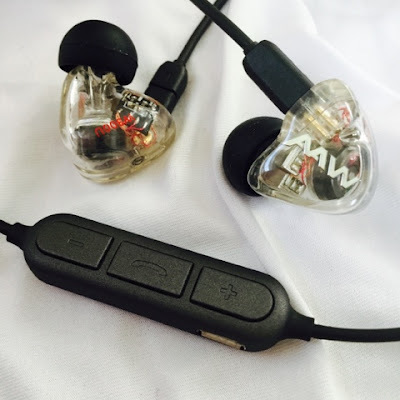 It is light an unobtrusive, fit depends more on your IEMs rather than this device. Needless to say I found it comfortable and didn`t really notice it at the back of my neck. Build is good. 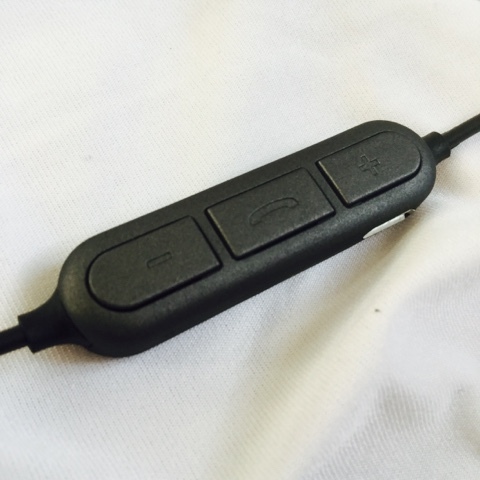 A well made device with rubber support where the cable exits the control panel. L and R are clearly marked by the connectors. 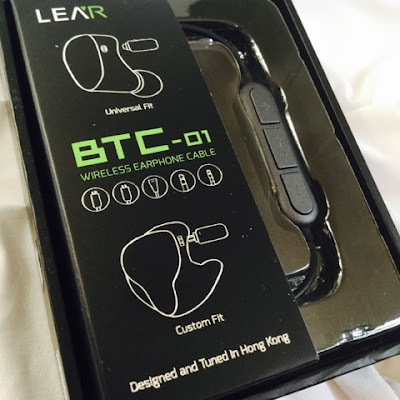 At HK$499 or US$65 it is an inexpensive solution to many situations, whether you want a more hands free experience, a wireless or have to resolve an issue where your device has no headphone jack the LEAR BTC-01 ticks all those boxes. From their website, see the link at the top of the review. Some Frequency tables/graphs etc available on their website. Operation time：About 3 Hours playback ,≥72 Hours standby time. 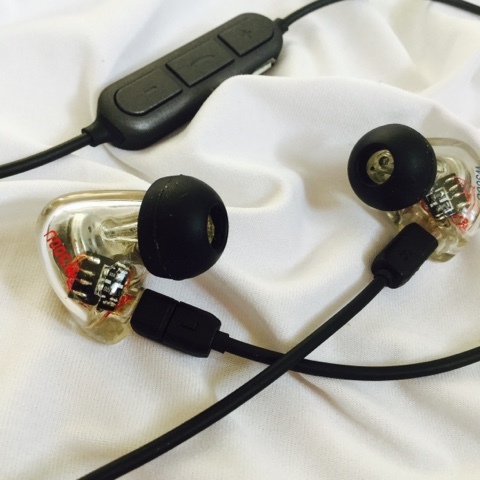 1)Balanced output,usually seen on high grade players such as AK, Onkyo , Cowon etc. 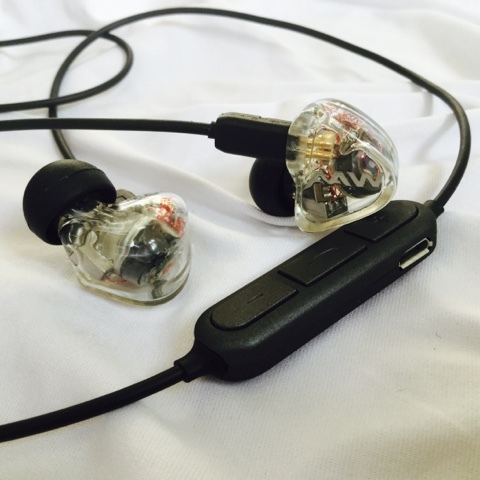 The design of balanced output can help to reduce the crosstalk and improve the clarity of the sound. 2)Internal Class AB balanced amplifier stage, the output is over 30mW@15ohm, even better than a lot of smartphones phone out in the market. 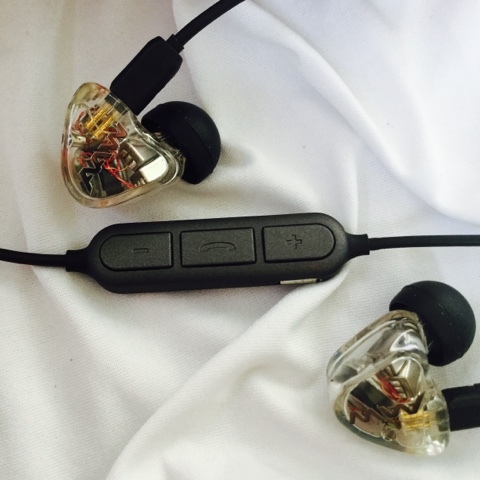 When comparing to some of the similar products, the output is at least one time stronger! 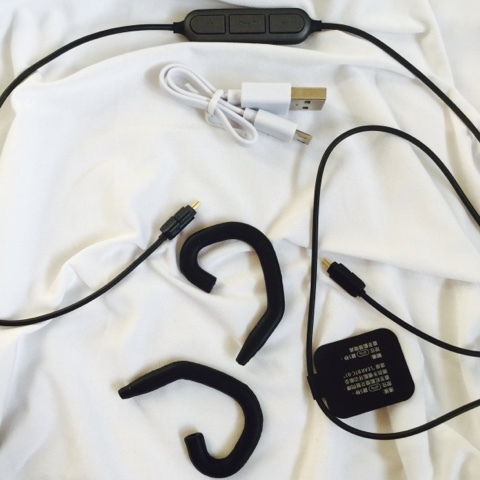 3)Built in Lithium polymer rechargeable batteries, when charged around 50mins, can have over 3 hours of play time. 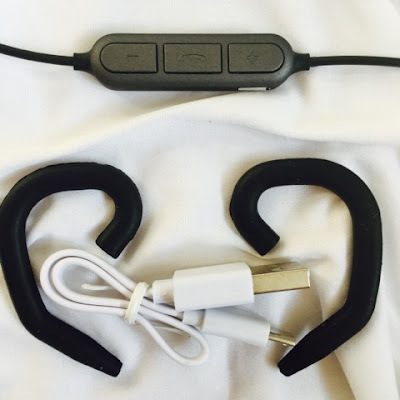 And it also supports playing music and charging at the same time, when you have portable charger with you, you can extend the using time. 4)The use of high quality OFC pure copper cable can improve the transmission efficiency and durability. Comparing to similar products, the number of wires is at least one times more. 5)We've chosen high quality capacitors from Murata Japan, making sure the quality is on point and stable. 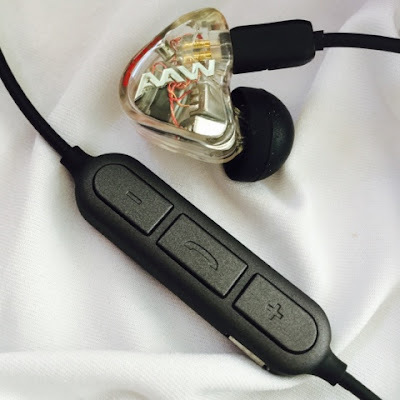 6)We have different kind of version in order to fit with all different kinds of plugs! 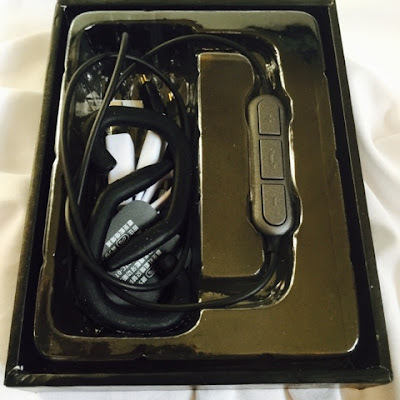 7)Built in high sensitivity microphone to make sure your calls are loud and clear. Detailed picture shows the different connectors available for purchase. 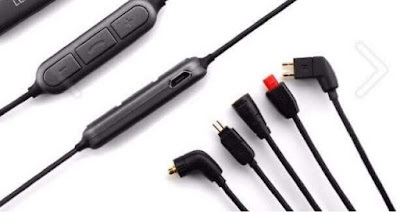 NOTE: It does int come with an array of connectors, each unit comes with one, you select one connector. 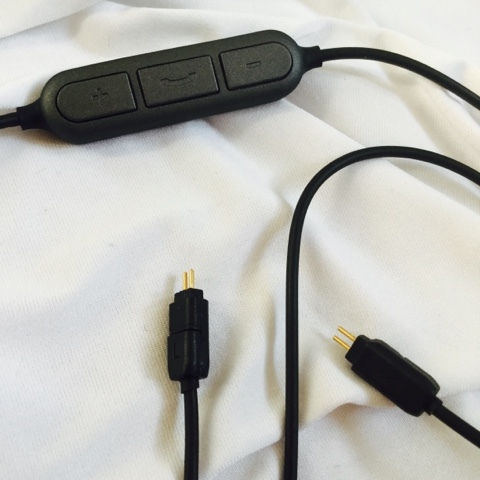 Some of the possible connectors you can choose. 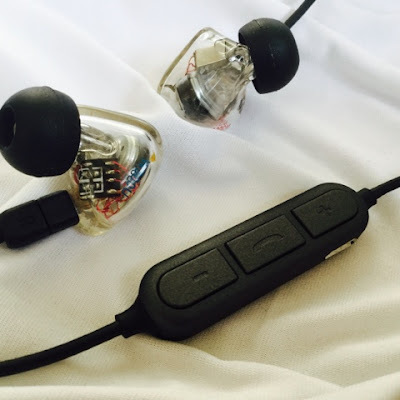 Volume buttons (double as skipping track), connect, talk, etc. This unit being the two pin version. Using an ipod touch 6G, 128GB with Flacplayer app by Dan Leehr. Volume is more than adequate at half way/ 50%. Listening to Massive Attack the sound is quite full, clear and detailed. The sound stage is quite wide. Theres a bit of pops and static, like it has possibly been recorded off vinyl. Further tests will establish a medium. Next listening to an unnamed 1980s track from a best of album, the clicks and pops are absent. 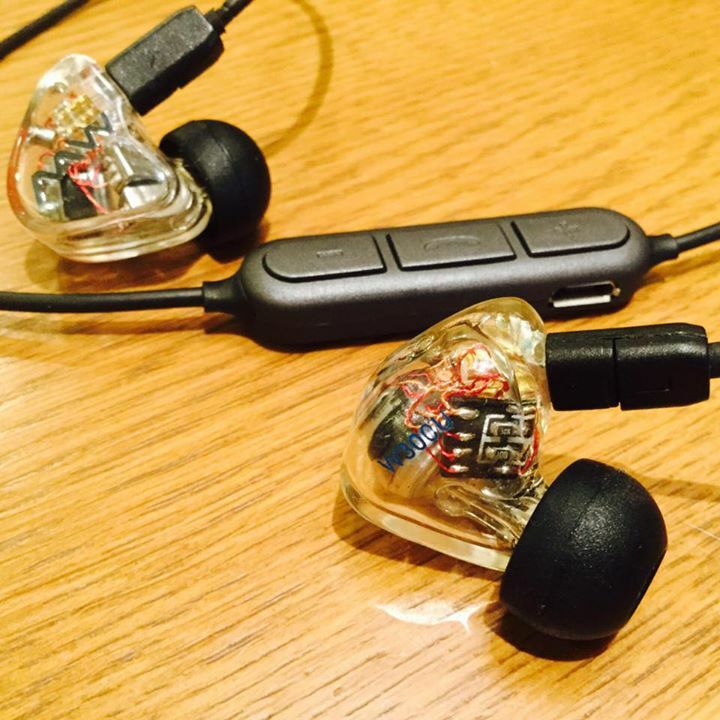 The sound is clear and fluid. The Jesus and Marychain are next, detailed, nice clarity, perhaps lacking some of the low end it needs. Could be the signature of the JOMO 6R. Massive Attack again, from Heglioland album. Smooth, spacious, great height and width. Dance music is deep and bassy - Lana Del Rey - Ride (Special request remix). Coldplay - Us against the world - general Coldplay sibilance check. The Wind and The Wave - Chandelier sounds exactly as I would expect. I continued on my shuffling through various tracks and the results remained the same. Clear, detailed, good sound stage, decent height and width. It is a generally smooth performance overall, with rock at times...well being rock and roll can get a bit rough - but this is more the recordings than the unit. With the Advanced AcousticWerkes W300U earphones the results were relatively the same, a little more low end was present and less airy than the JOMO 6R. The clarity, detail and smoothness were still present. There is some static when a track is not being played, this seems to go away once the music starts. 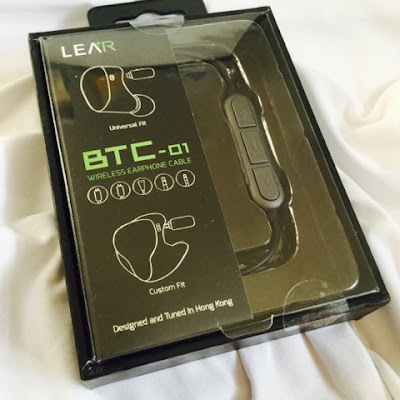 The LEAR BTC-01 connects easily to my ipod touch 6G and my wifes iphone6S. As you can see from the Flacplayer app info screenshots the BTC-01 plays back at 16/44100Hz. More than enough for on the go. The LEAR BTC-01 bluetooth dongle for IEMs is a great idea, one that other companies are also doing. Choose your flavor. Whilst I am a cable and straight to wired man, I do enjoy this concept and expect it will be adopted by many who buy the iphone 7 and other jack less devices to pair their well priced IEMs with. 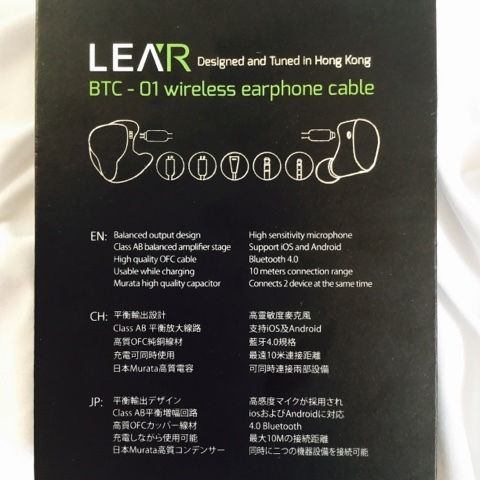 Is a wired connection better than a bluetooth one? I don`t know. There is a bit of static, but this seems to disappear when the music starts. I do know the LEAR BTC-01 sounds great. It turned me from an inexperienced doubter to one of the faithful. Will I be swapping sides, probably not. I love my cables, but then again I did swear by my stacked rigs and now prefer a single Dap or two in one such as CEntrance Hifi-Skyn. 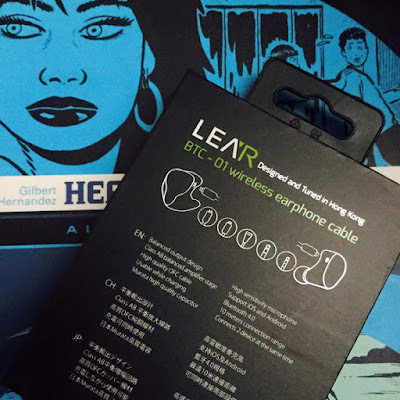 Also LEARs array of choices for your preferred earphone connector is a plus. Also when you turn on and off a recorded voice message on the BTC-01 tells you whether is connected, switching on or off. a nice touch. Light, well made and easy to pair up with my idevice. Smooth, clear, detailed with a decent sound stage and fast response. All in all the LEAR BTC-01 gets two pies up from this reviewer. Great job.